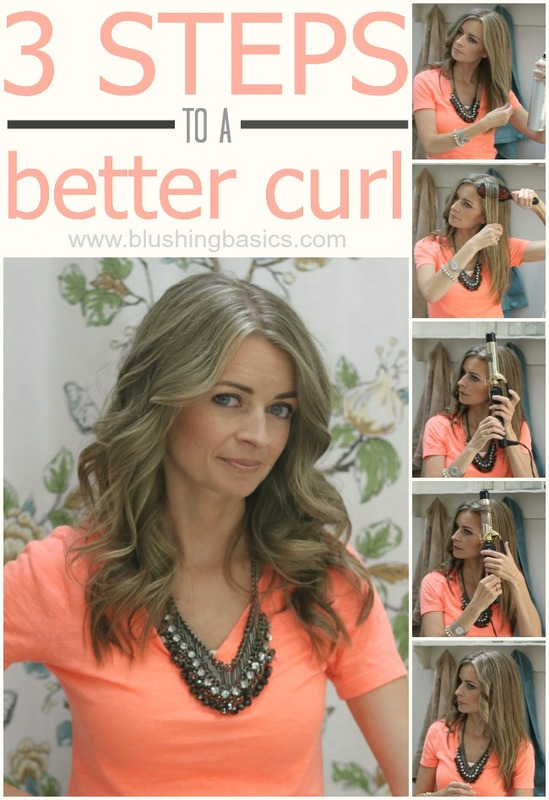 getting the perfect curl requires a few extra steps but believe me when i say it is worth it. these extra steps will ensure a longer lasting, smoother, healthier looking curl. even if you're thinking 'yeah, yeah, yeah, how big of a difference can it make?' - do me the solid of trying it once. compare your results to a typical curling day and decide if it is worth it for you. 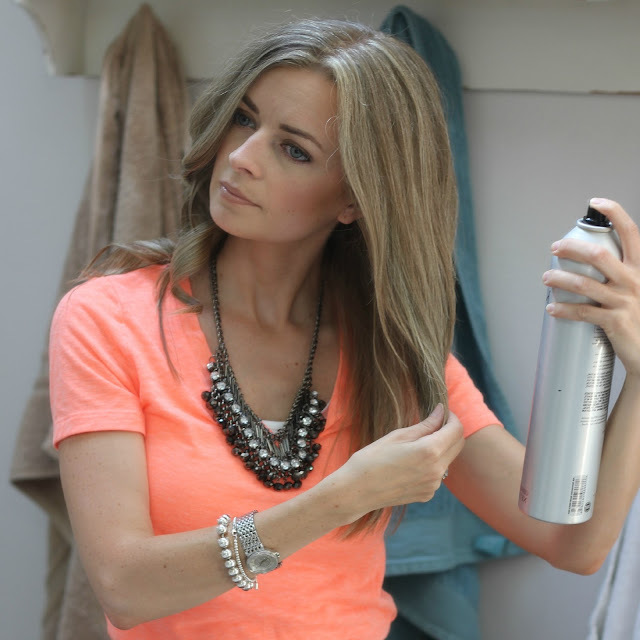 spray the section to be curled with hairspray before you actually curl. the added product will help hold the curl as well as make it last longer. hair without product doesn't style as easily just like a shirt without starch doesn't iron as well. 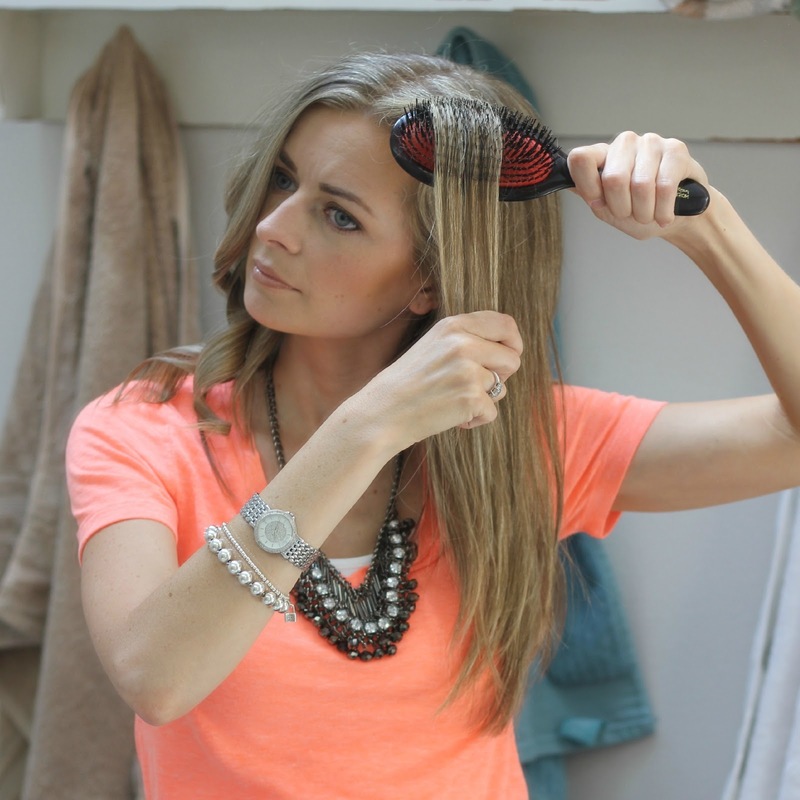 brush through the hair prior to curling. making sure your hair is without tangle prior to curling will give your curl a smoother finished look. while it may seem tedious to do this before each curl, this tiny little step is what helps to give that smooth sleek healthy hair look. otherwise, you'll have bits of hair that end up crimped and make your hair look damaged and unhealthy. begin your curl near your hair line rather than at the ends of your hair. continue rotating the curling iron through to the ends of your hair. this not only helps the curl to set along the entire hair length, it also helps to smooth out the hair cuticle leaving your hair looking shinier and healthier. let the curl cool and finish with hairspray and give your hair a few tousles. perfect curls complete. Which hair curler did you use for this tutorial ?? 1 inch or 1.5 inches ? Great tutorial! Your hair looks beautiful! You look so much like Heather Graham in the top photo with the finished hair! Kristi, You really do look like a young Heather Graham! Love your tutorial, great post! I have taken your advice to do this and can attest to it! It makes a a huge difference!